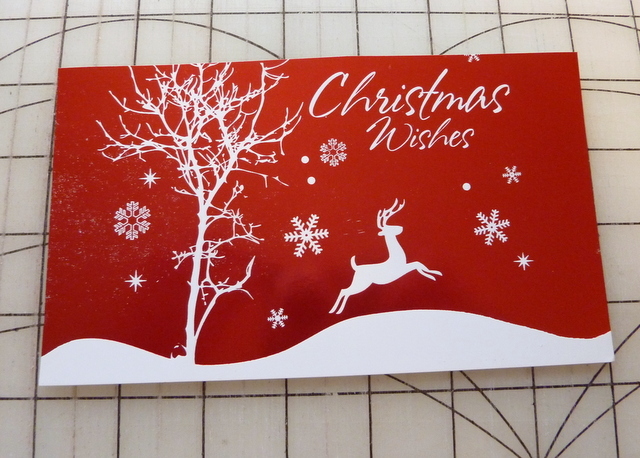 I received one of these upcycled Christmas card bookmarks as a little gift and it is just too clever not to share. 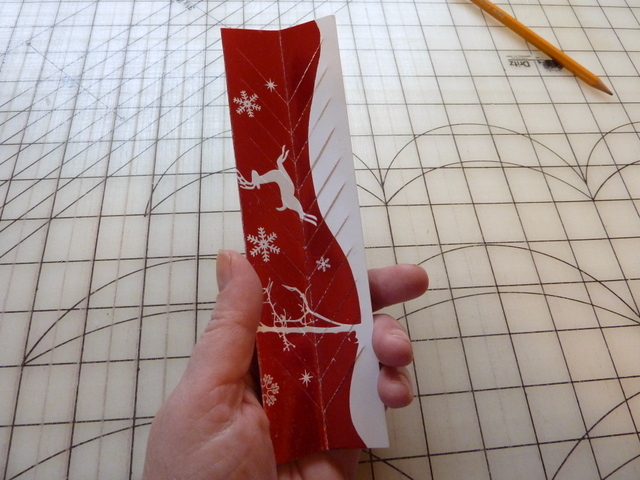 This bookmark is an ingeniously folded old christmas card. I took it apart to figure out the pattern and I am gladly spilling its simple but intricate secrets. Make a bunch for stocking stuffers, for an afternoon craft with the kids or to mail to friends far away for the holiday. 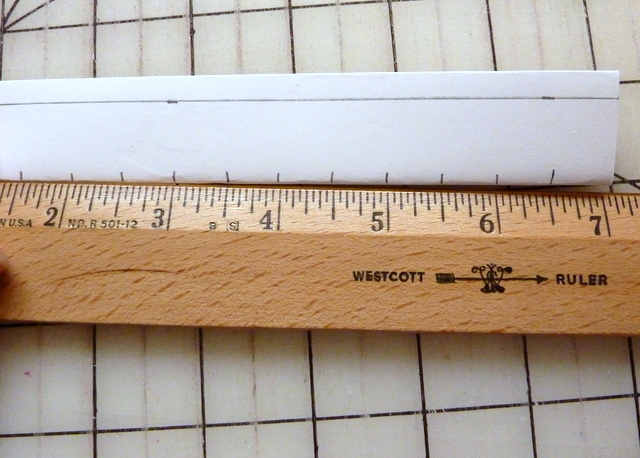 Measure and cut the card down to 4 x 7 inches. Try to capture the bulk of the picture or design. 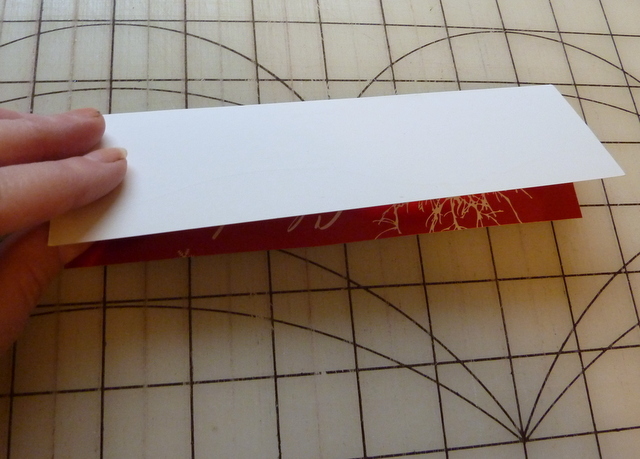 Fold the card in half the long way, right sides together. Now, fold the card in half again. 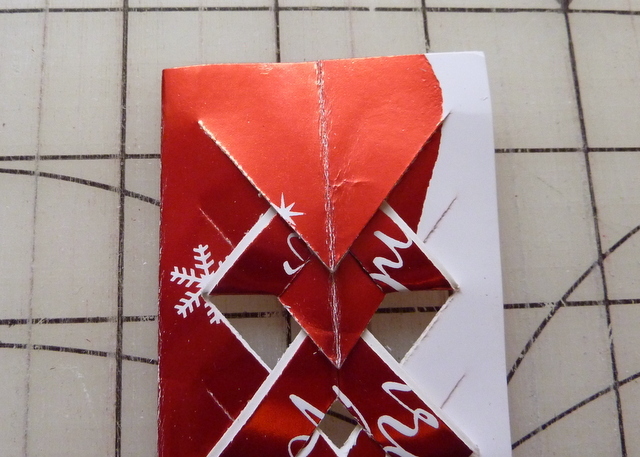 I like to fold each side separately so it is a crisper fold before putting it together to fold in half. 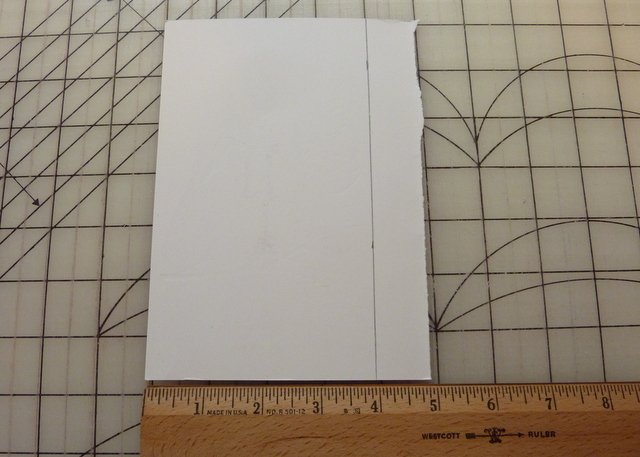 Measure 1/4 inch down the single fold side of the bookmark. mark this so that you do not cut past it later. 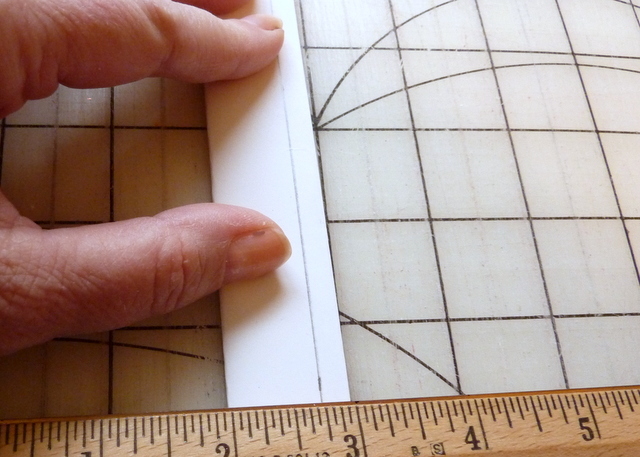 Now, on the double folded edge, measure up 1/2 inch from the bottom and mark at 1/2 inch intervals until you have 11 marks. 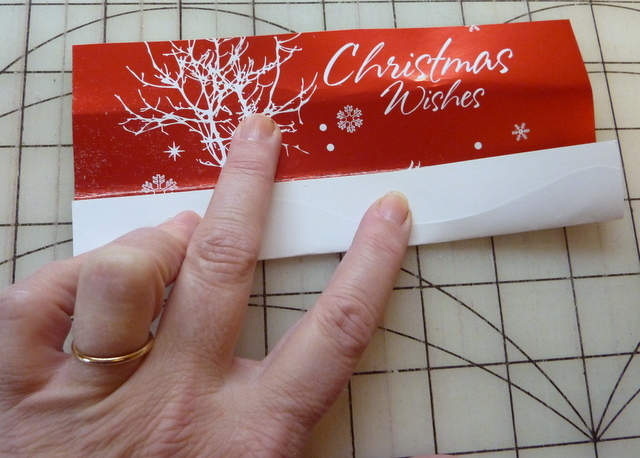 On the other side on your 1/2 inch line, measure up from the bottom of the card 1 1/2 inches. 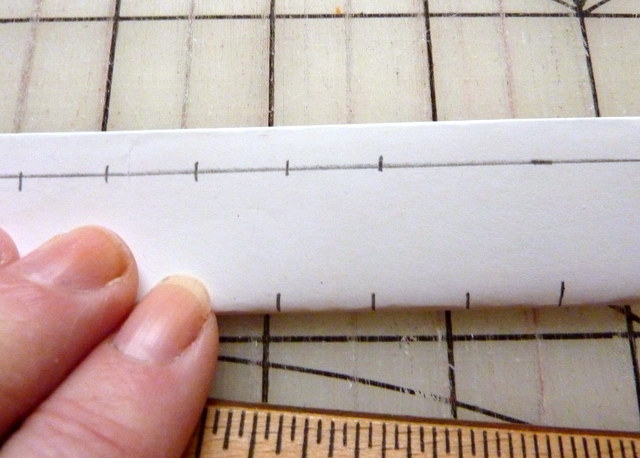 Mark at 1/2 inch intervals until you have 11 marks. These marks should be offset at an angle. It will look something like this above. 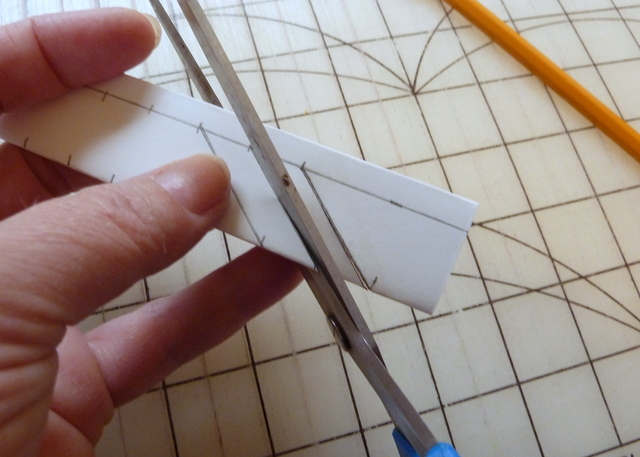 You will now cut the angles every half inch being careful to stop 1/4 inch from the edge. 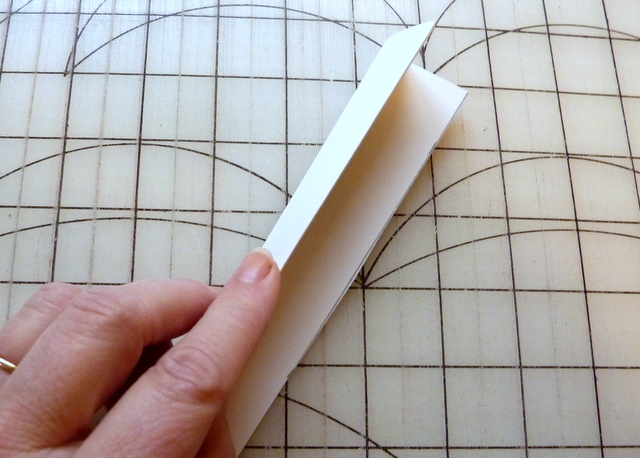 Make sure you are cutting from the double folded edge. You will make 11 cuts. Now open the card back up carefully. 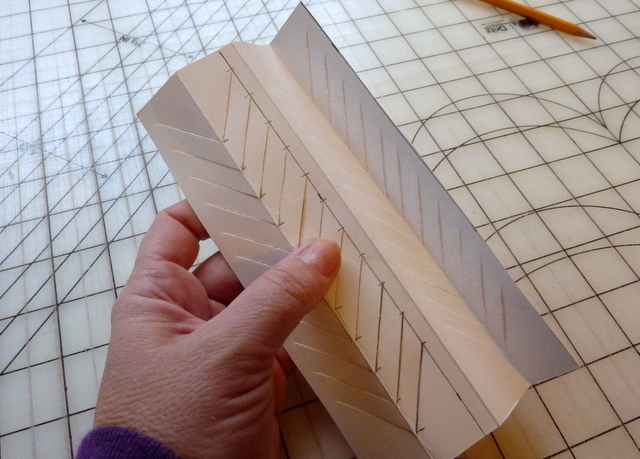 Fold it in half again with the right sides facing out. 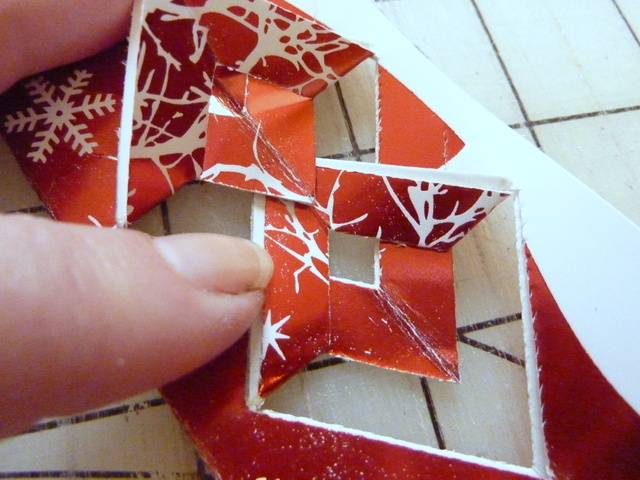 Make sure that the angle cuts from a V shape as you look at them. Begin folding up every other V shape starting from the bottom. As you fold them up, tuck them under the next V shape. Move up the bookmark folding and tucking. Tuck the last V shape under the top V. They should hold in place. 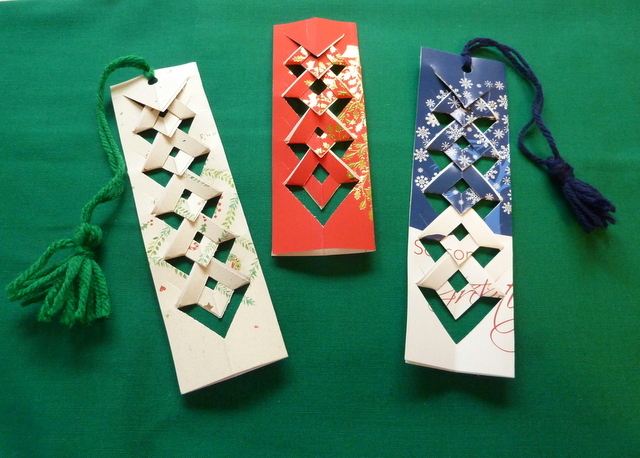 You can leave the bookmark as is or punch a hole in the top and string a yarn tassel through it. 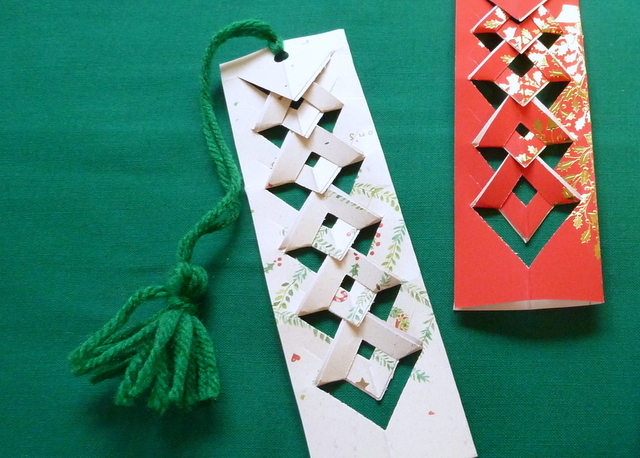 A beautiful bookmark from a card you might have thrown away! 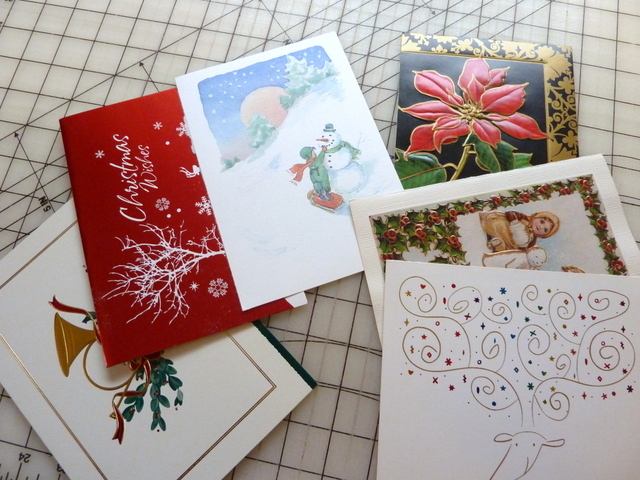 Hint: If you have a smaller card, just make fewer cuts. 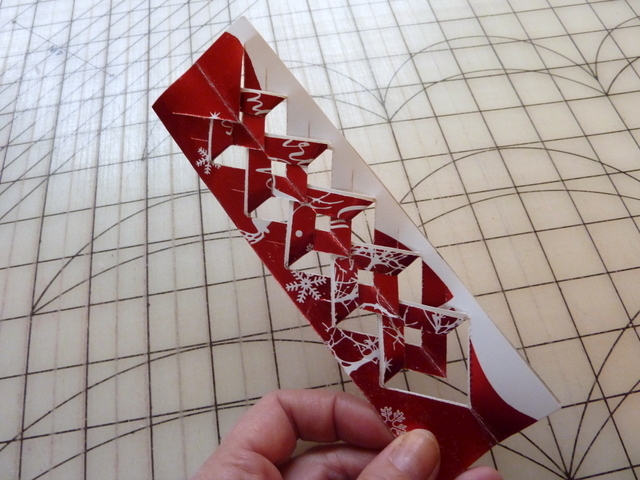 You will just need an ODD number of cuts for the folds to work. Easy and fun! Thanks for sharing Lori.